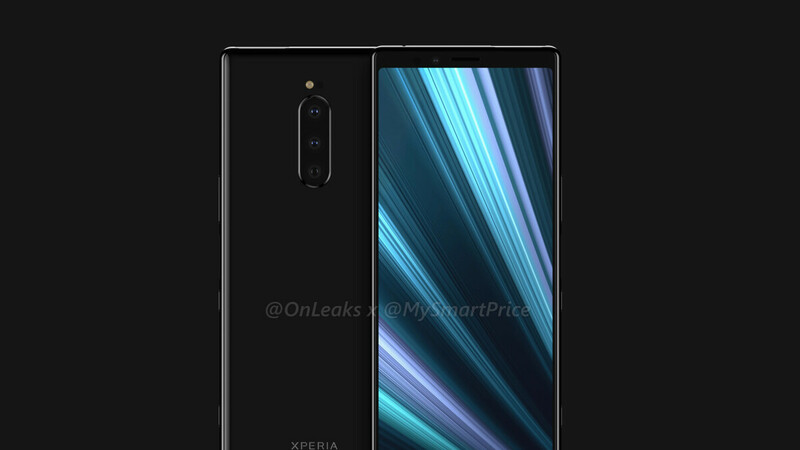 While the Xperia XZ4 hasn't been leaked quite as profusely as the Galaxy S10 lineup (at least in the flesh), we think we know a great deal about Sony’s next big thing as well. Widely expected to be formally unveiled at next month’s Mobile World Congress in Barcelona, the extra-tall flagship smartphone was purportedly rendered a couple of months back, with a number of its key specifications rumored shortly thereafter. While several of those seem to gain credence today thanks to some sort of a newly leaked list of features, others are substantially revised, although we can’t say for sure which piece of gossip may eventually pan out. The latest information collected by Sumahoinfo on Chinese microblogging platform Weibo definitely paints the Sony Xperia XZ4 a prettier picture than before. We’re talking not just a Snapdragon 855 powerhouse with a humongous 6.5-inch or so screen sporting a somewhat unusual 21:9 aspect ratio, but also a relatively lightweight handset packing a colossal 4,400 mAh battery. That would be significantly larger than the 3,300 and 3,540 mAh cells found under the hood of the Xperia XZ3 and XZ2 Premium respectively. Granted, the two 2018-released high-enders also come with smaller 6-inch and 5.8-inch displays. Speaking of that, the Xperia XZ4 looks set to be only the company’s second-ever OLED phone, after the XZ3. The 18:9 aspect ratio will most likely be expanded to 21:9 for a (hopefully) more immersive video content playing experience, while the resolution is expected to go up from 2880 x 1440 to 3360 x 1440 pixels. That sounds impressive, but it would actually be down from the 3840 x 2160 pixel count of the Xperia XZ2 Premium’s LCD panel. Of course, pixels become irrelevant beyond a certain number, as proven by the iPhone XS and XR, among many others. Let’s circle back to the 4,400 mAh battery for a few seconds. That’s absolutely doable, as there are a number of smartphones on the market packing even heftier juicers nowadays, but what doesn’t seem plausible is the 191 grams weight and 8.2 mm thickness of this impending Sony Xperia XZ4. Remember the Xperia XZ2 Premium and Xperia XZ3? Both of those are heavier and thicker than an XZ4 that’s supposed to come with a bigger screen and bigger battery. Even the Samsung Galaxy Note 9, which is an absolute engineering marvel, “only” manages to squeeze a 4,000 mAh cell into a chassis measuring 8.8 mm in depth and tipping the scales at 201 grams. If Sony is indeed able to pull off that battery capacity with those measurements, the Xperia XZ4 will surely be a heavyweight contender for the title of best H1 2019 flagship phone. But realistically speaking, the previously rumored 3,900 mAh battery size still feels more plausible. Either that or the device will be significantly thicker and heavier than currently expected. Assuming the rest of the info is legit, the XZ4 should measure 167 mm in height and 72 mm in width, while packing 6GB RAM and 128GB internal storage space (at least in this specific configuration). For comparison, the Xperia XZ3 is 158 mm tall, 73 mm wide, and exclusively available in Taiwan in a 6 gig memory variant that still offers just 64GB local digital hoarding room. Powered by Android 9.0 Pie on the software side of things, Sony’s next hero device is unsurprisingly listed as IP65/IP68 water resistant, as well as protected by Corning Gorilla Glass 5. Color options should include black, silver, blue, and “deep purple”, although availability will naturally vary from region to region. There’s no word on camera technology, and while we know from previous leaks that Sony plans to jump on the triple lens bandwagon, we can’t say for sure what you’ll actually be able to use each rear-facing shooter for and what imaging specifications to expect. I would like to have performance camera as pixel in xz4. We can see software matter. "Even the Samsung Galaxy Note 9, which is an absolute engineering marvel, “only” manages to squeeze a 4,000 mAh" Looks like you forgot the fact that Note 9 need to make room for storing the S-Pen. Don't forget it also had a 3.5mm audio jack which also takes up alot of space inside a phone. Fake news. No way Sony will/can put 4400mAh in their phone. As a phone manufacturer they are very impotent. Three rear sensor plus two front sensor. Where's the room for such big battery? yea, I am with you on this one, it will have a 3500mah at best because they want their phone to be thin and slim for whatever reason. I believe I have enough hand strength to hold even 200+ grams for over 2 hours easily....and rest wrists, elbows etc , in general take a break, to reduce fatigue in between. I would prefer a 9mm thick , 205 gm device with 4400 mAh battery. If Sony pulls this off that will very indeed be impressive. Even if they don't and it comes with the 3,900mah battery that's good enough for me. 4400 in a Sony phone would make it the unquestioned battery champ. If it's one thing Sony phones are beasts at, it's battery efficiency. 167 mm tall?? Oh boy, Sony please make a smaller version as well!! !